Tailor-Made Tours organise self-guided walks of 8 or 12 days for the Kerry Way. 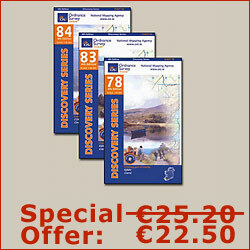 Wonderful Ireland offer a total of 12 different packages for self-guided walks on the Kerry Way. These range from 5-14 days. Ireland Walk Hike Bike have both guided and self-guided tours of the Kerry Way ranging from 5-11 days. Hillwalk Tours offer a broad range of packages for the Kerry Way. These range from 5-11 days on the trail with options of 4-7 hours to 5-8 hours walking each day. Footfalls Walking Holidays organise self-guided walks of 7-11 days on the Kerry Way. They also offer an 8-day guided walking tour which includes the highlights of Kerry and Cork. 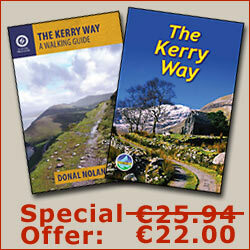 Celtic Nature are based in Kerry and offer a set of self-guided packages of 4-8 days on the Kerry Way. These packages can be tailored and guided day-walks adjacent to the Kerry Way can also be added on. Absolute Escapes organise self-guided walks of 8 or 11 days on the Kerry Way from April to October. A customised itinerary can also be arranged to suit your needs. Hilltop Treks organise self-guided walks of between 5 and 11 days on the Kerry Way. They also have a 7 day guided tour of South West Ireland which includes an ascent of Carrauntoohil.